• 8 inches. 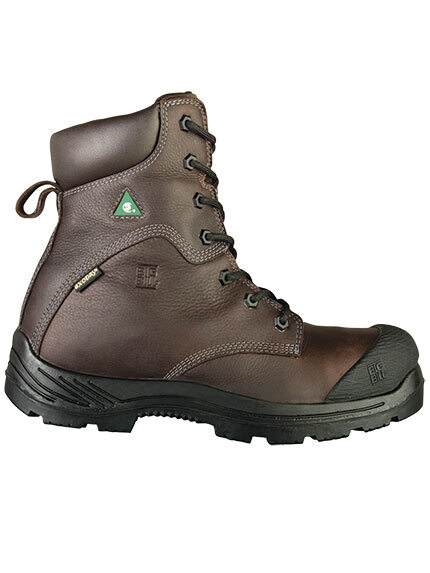 full grain waterproof oil leather upper. - Composite polymer protective toe. - Non-metal nylon lacing eyelets. - Non metalic composite shank. • 3M™ Thinsulate® 200 grams insulation. • Scentrap® anti-odor treatment lining. • Flexible pu midsole with rubber bottom outsole. with a gray color thread for adding accent style.